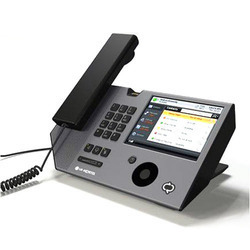 We supply high-grade EPABX System, which is widely acclaimed for its impressive performance and high-end features, like, auto fax homing, remote dialing, etc. To make sure that we offer only defect-free range of products, our quality experts cross check every product at diverse stages. With the assistance of our experts, we have become capable of providing superior-grade products to the clients as we source the raw materials only from dependable vendors.